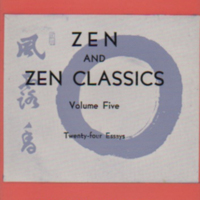 These stories, compiled by Paul Reps from four separately published books, recount actual experiences of Chinese and Japanese Zen teachers over a period of more than five centuries. 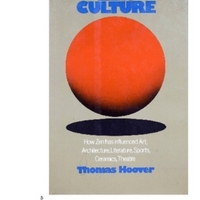 "How Zen influenced Art, Architecture, Literature, Sports, Ceramics, Theatre" is the way the cover describes this free e-book by Thomas Hoover. 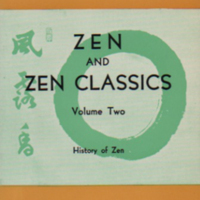 A collection of classical Japanese texts selected for their relationship with Zen Buddhism by R.H. Blyth. 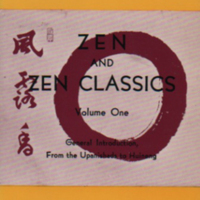 Essays by R. H. Blyth and other texts that provide a general introduction to Zen Buddhism. 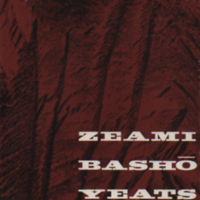 A book of essays on Japanese culture and how it relates to Zen Buddhism. A study of the comparative poetics of 4 diverse authors. A collection of haiku by Croatian poet Nikola Duretic. A collection of haiku by Serbian poet Zoran Doderovic in Slovenian translation.